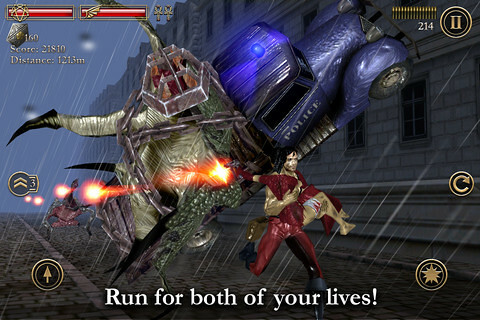 This is probably the best use for ‘temple run’ type of game genre. 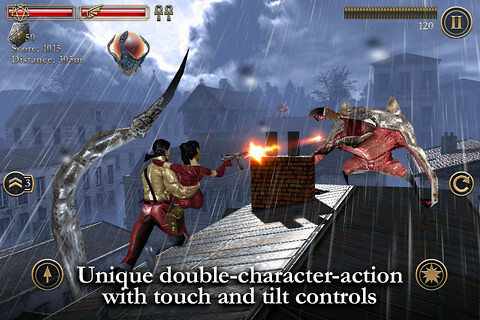 Blood Roofs not only utilised the endless run gameplay, they even added double character view of the game which includes front and back plus the option for users to run freely based on where they tilt the device to. Chased by dreadful monsters, Jake must carry Catherine, the wounded girl – and run for both of their lives! Yet, she is armed and still tough enough to shoot a way through the deadly hordes. We really like the gameplay of Bloof Roofs. The graphics is pleasing and the mechanics is fresh. 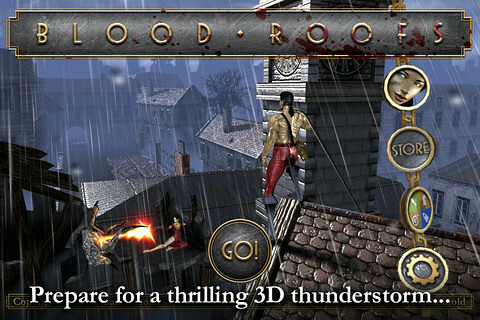 With 60 frames per second and crystal clear Retina graphics, there’s no reason why you shouldn’t check this one out. Watch the trailer below to find out more about the game.